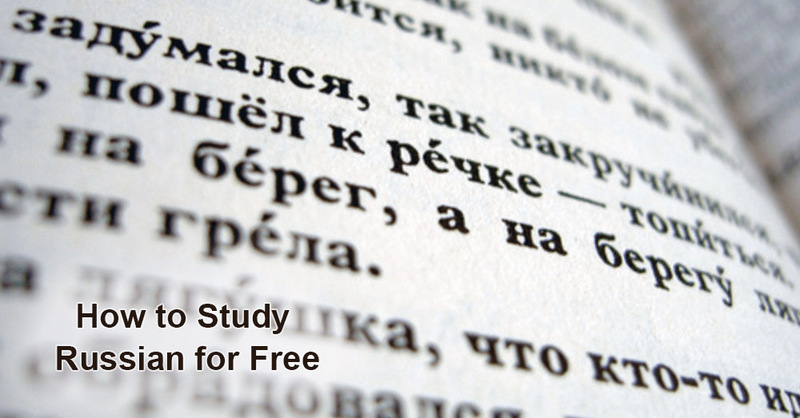 There are a lot of ways to study Russian for free. There is definitely nothing better than learning a language with a teacher. However, learning a language at home or while travelling is also a good idea. While communicating in a foreign language it is necessary not only to speak the language but to understand your conversation partner as well. You can learn this by developing reading, listening, and speaking skills as well as constantly enlarging your vocabulary. Mobile applications give an opportunity to study Russian on your way. In the app store you can find a wide range of free applications. You can download books for free and without registration. We recommend you to read your favourite books translated into Russian, as well as books in your mother tongue with a parallel Russian translation. Reading in Russian is the best way to learn new words and phrases. If you want to learn to speak Russian, you need to have a communication partner. You can learn lots of words, lyrics, phrases from films, etc. However, it does not guarantee a successful communication act. Make friends with Russian-speaking people and if possible travel to the countries where people speak Russian!